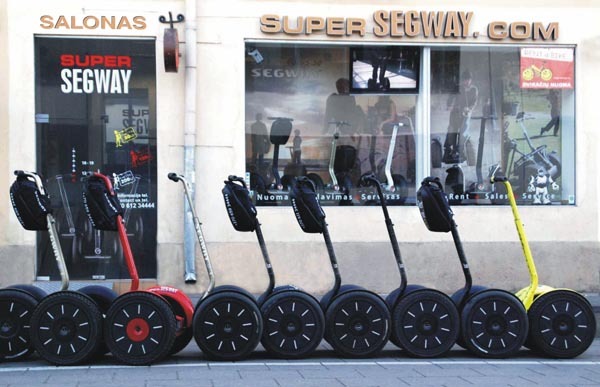 Supersegway Ltd. is a US capital company, it has operated in Lithuania since August 2005. We are distributors of an electronic vehicle know as the SEGWAY PT in Lithuania, one can purchase or rent it only from us. Our headquarters are situated in the town of Vilnius, at Vilniaus street No.45. Our young and energetic team will not only provide you with all the information on this compact, but powerful mean of transportation and its accessories, but also train you to control it. 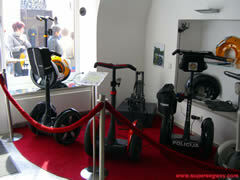 SEGWAY is designed both for entertainment, and for business. Your staff, family, and friends will certainly love it. Supersegway Ltd. co-operates with the entertainment borough Aerodream, located in the Trakai district, Antakalnis village (about 20 minutes from Trakai). Designed for a countryside vacation, you should expect to see an electronic two-wheeler SEGWAY PT there. Now you are able to rent SEGWAY not only in Vilnius, but also in Nida and Palanga or at the farmstead AERODREAM in the Trakai district. At present we invite all guests to take part in looking-around excursions through the Old Town and Center, the so called “Vilnius SEGWAY tours”.